West Michigan knows that the most important things in life are the ones you cannot put a price on, which is why we offer such a wide range of retirement living that will surely meet your needs. Retirement is something you’ve earned. You’ve worked hard your whole life, now you can enjoy all those things you never had time for before – hobbies and travel, recreation and entertainment, more time with family and friends. For fifty years, Christian Haven Home has maintained its reputation as one of the area’s finest options for assisted and independent living homes. Liberty Woods, a national model for affordable senior lifestyles, is a limited equity housing cooperative corporation operating for the benefit of the membership on a non-profit basis. First & Main seeks to culturally redefine what it means to age – for its residents, for their families, and for future generations. They deliver a brand with authority and confidence that embodies sophistication and refinement along with inspiring a purposeful life for those they serve. Assisted Living and Memory Care where seniors can find the care they need to live active, vibrant, and healthy lives in an upscale, modern atmosphere. For over 20 years, Sentinel Pointe has welcomed seniors into our family and provided a worry-free lifestyle. 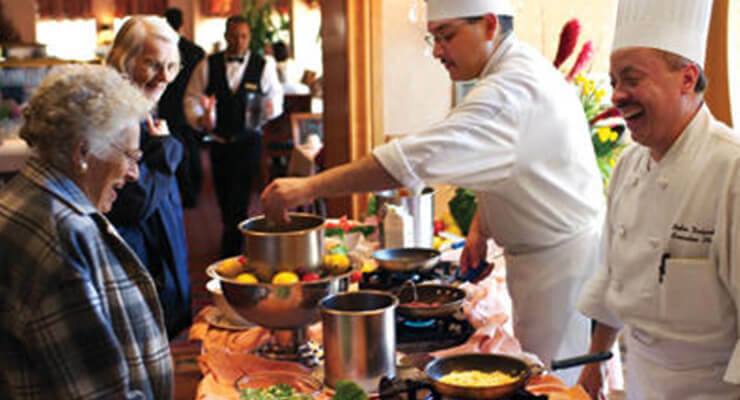 Let us take care of the cooking and housekeeping while you make new friendships and enjoy a rich social calendar. In addition, we offer health care services if and when you need it. Located in southeast Grand Rapids, Michigan, Sentinel Pointe full-service retirement community overlooks a wonderfully wooded landscape complete with a creek and plenty of wildlife. At a Porter Hills retirement community, you can find the location and living environment that’s just right for you. For over 34 years, Porter Hills has been dedicated to making retirement living as satisfying and rewarding as possible. As a resident of a Porter Hills retirement community, you can enjoy retirement as it was meant to be – free from worries about your house, your health, and your future. At Porter Hills, our mission is to provide our residents and clients with a continuum of high quality living environments and services in a caring, Christian atmosphere. Our purpose is to maintain gracious and secure communities and provide an array of services to our residents. Since 1970, we have established an excellent reputation in providing quality living environments and services for older adults while fostering compassion and encouraging independence and choice. Clark is a not-for-profit, continuing care retirement community, offering a full complement of services and residential options from independent living and assisted living to skilled nursing. If you should ever need additional care, you can remain at Clark. Most people come to Clark seeking ways to remain active and engaged, wanting to be a vital part of a genuine community. They aren’t disappointed. Opportunities for fun and friendship are outlined in Life at Clark. Villa Maria Retirement Community celebrates the individual senior adult through a personalized combination of affordable residential housing and supportive services designed to meet the specific needs of Grand Rapids seniors. The Villa Maria philosophy is one of choice – with residents encouraged to continue the activities of a lifetime in an environment of support and comfort. Pilgrim Manor is a retirement community that’s warm, friendly and inviting… the home you’ve been looking for! 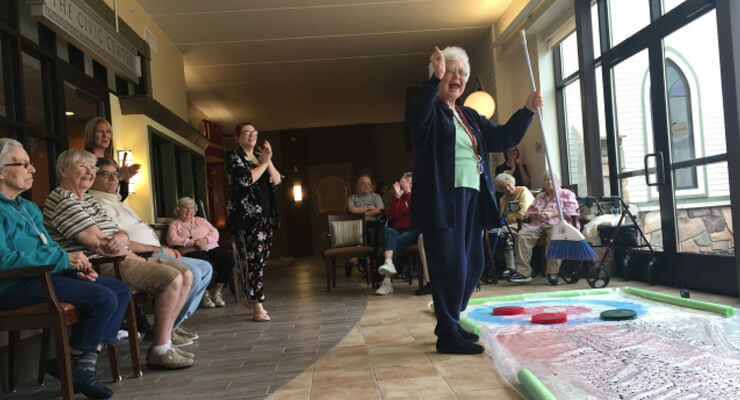 Situated on the Northeast side of Grand Rapids, MI, Pilgrim Manor seeks to provide a consistent Christian commitment to compassionate care for our elders. Because your journey matters, take some time to discover the freestyle living options we offer. We are a local, Christian nonprofit organization dedicated to providing quality care for seniors. Our tradition of excellence began in 1973 with Sunset Manor. Blessed with continued growth, we now have the whole continum of care with three communities: Brookcrest offering rehabilitation services as well skilled nursing, Sunset Manor & Villages offering independent to assisted living and Waterford Place offering independent living for active seniors. Additionally, we have two services; Meals at Home that delivers delicious meals 365 days a year and Sunset Home Services that provides in-home care and offers variety of therapies by qualified and licensed professionals. Yorkshire and Stonebridge Manor provide assisstance with day to day living as people age. Located in Walker. Designed to connect people and promote a life of health and wellness. Not only do they provide residences that are comfortable and desireable, but also provide a sense of family. Here you’ll find a 40-acre woodland just minutes from downtown Grand Rapids, It offers country home ambiance and big-city advantages that transcend traditional retirement communities.Their community center is a plaza of opportunity—fitness center, creative opportunities, formal and informal dining, a heated indoor pool, and much more. This event helps support life enrichment programming, music therapy and customized headphones sets for 70 long term care communities within Western Michigan. We offer Exceptional Independent Living, Personalized Assisted Living, Alzheimer’s and Dementia Care and Skilled Nursing Care options for seniors. Situated near Lake Michigan, Holland is one of the country’s most popular tourist destinations, too. Each spring thousands come to the city to see the millions of blossoms along tulip lanes, in large garden beds, and at nearby bulb farms. Freedom Village Holland offers something for everyone and with our dedicated staff available 24 hours a day; you’ll rest easy knowing we can meet your every need. To fulfill our mission to serve seniors, we create genuine community by caring for the needs of your mind, body, and soul. In a true community, members create friendships and stand beside each other through the ‘time to weep and the time to dance.” (Ecclesiastes 3:4) That’s our simple goal at Resthaven. To do this, we care for your physical, emotional, intellectual, social, and spritual needs. Resthaven does this by offering housing, health care, and programming tailored to the needs of you, our honored Elder. And we stand beside our residents by engaging the broader community to provide benevolent care to those who are most frail and in greatest need. Compassion from the heart is our promise in the LifeHouse models of caring, Our personalized services are designed to meet the needs of all members, their families and friends. We have an unyielding commitment to the communities we serve. It is the commitment to human and approachable care that will make us a national leader, while allowing us to retain our close relationship with the people in our local communities. Simply put, personalized service that meets the needs of our constituents is our promise. We will never deliver less. Oak Crest Communities is dedicated to providing care services based on Christian principles. Christian because of what we believe and the way we serve our residents. We believe that each resident has intrinsic worth and dignity. Therefore, our mission is to develop and foster a secure and caring environment by providing programs and services that will enhance the quality of life of each resident. Every day, Holland Home serves over 4000 older and aging men and women by providing a full continuum of care — independent living, assisted living, in-home help and health care, rehabilitation, memory care, skilled nursing, and hospice care (through Faith Hospice.) Additionally, Holland Home commits to residents under its continuing care agreement that it will cover living and health care costs, even if the resident no longer has the resources to afford the required care. Holland Home’s mission to “Serve with love and compassion; Commit to excellence; and Follow Christ’s teachings and example in all we do” still drives the care it delivers today. We’re redefining the senior living experience. Imagine a place where seniors are honored, respected and empowered to make decisions that affect their lives. Imagine days filled with purpose and meaning. Seniors enjoy freedom, independence and privacy when they choose it — security, companionship and support when they need it. That’s Sanctuary. Designed for retirees and seniors, you will find that Chestnut Fields provides the very best in retirement living with a focus on independent and personalized living spaces within a community atmosphere. The unique “Town Square” concept features an interior streetscape complete with actual streetlights, park benches, store-front canopies and greenery leading up to a personal entryway to each apartment. The site offers 20 one-bedroom apartments with a centrally located “Square” that includes a Café & Coffee Shop, Pharmacy, Post Office, a Beauty/Barber Shop and Community Room. Renaissance Place is a unique twenty-four unit senior community that offers the features and amenities in affordable independent living that you deserve. River Ridge Retirement Village offers independent and assisted living, day care, respite/short-term care, and memory care services. Resthaven offers services ranging from independent and assisted living to rehabilitation, nursing care, and dementia services. PM Oaks RV Resort is in Lake Township near Big Star Lake. Closed in the winter months, it is primarily a retirement community for snow birds. Oakwood Manor is within walking distance of downtown Baldwin and is a Rural Development Elderly Community serving those 62 years old or older and the disabled of any age. Idlewild Gardens is in the historic Idlewild Michigan and is a USDA-RD-HUD elderly community designed for those who are at least 62 years old and the disabled of any age. It is located within walking distance of Idlewild Lake, the Post Office, and the historic Red Rooster Restaurant. Lake County has a handful of assisted living/adult foster care facilities as well in the outlying areas. Osceola County Commission On Aging offers services which include Medicare/Medicaid Assistance, Meals on Wheels, home health aides, homemaking, transportation, respite, and communal meal sites. Pleasantridge Manor – Adult Foster Care for the Elderly is a 9 bed adult foster care home located in Marion, Michigan. It offers around the clock care for the elderly for over 15 years and is considered to be a home away from home. Reed City Fields Assisted Living is located near the crossroads of US-10 and US-131. It offers both basic and personalized services. IS YOUR BUSINESS A MEMBER YET? Copyright 2018 Hello West Michigan. All rights reserved.